There are three types of charters: bareboat, skippered and crewed. What does this mean? A bareboat yacht charter comes without a crew, with a skippered yacht charter you rent both a boat and a skipper, and you get a fully crewed yacht with a crewed charter. You are allowed to choose a bareboat charter if you are a licensed skipper. When chartering a yacht without skipper, you will be obliged to have all the necessary certificates, permits and documents that prove you can sail on your own. 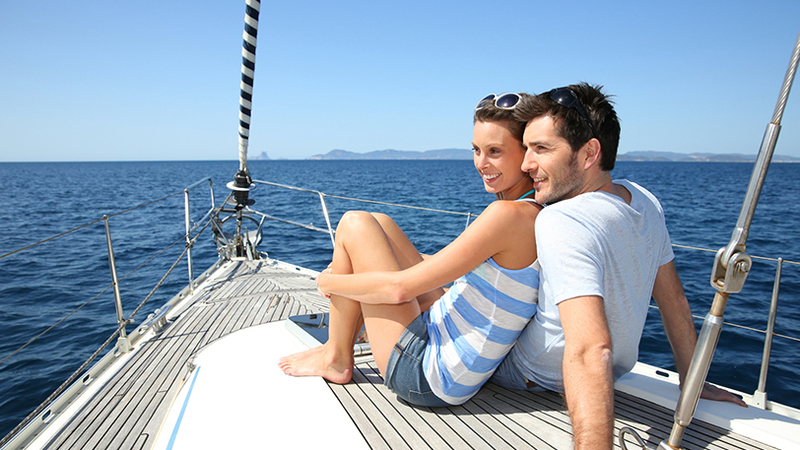 In essence, a bareboat charter is the basic option when renting a yacht. You will get a yacht with all essentials to sail and nothing more, meaning you will receive a fully functioning yacht with a full reservoir of fuel, ropes, life jackets and similar necessities for sailing. Depending on a charter company and yachts size/class that could mean that you will be receiving a yacht with a generator (for electricity production), air-conditioning, coffee machine, ice maker and similar. A bareboat charter is ideal for destinations which provide you a significant number of cover possibilities in case of bad weather and which have more favorable sailing conditions. The most of Mediterranean sailing destinations like Croatia, Greece, Italy, Spain, and others are, sailing condition-wise, ideal for a bareboat charter. If you do not possess a necessary license to steer a vessel or you are just into a full relaxation mode, a skippered yacht charter is the best option for you. Your charter company will provide you with a skipper who will steer the boat, decide on the route by your preferences, and keep you safe. Skippers are usually chosen not only for their sailing experience, but also for their people skills and local knowledge about the chosen sailing destination. Your skipper will not only steer the boat, but also show you some trade secrets if you are interested in sailing, and act as a kind of a tourist guide who will show you the best your sailing destination has to offer. A skippered yacht charter is ideal for non-experienced sailors and the rough offshore conditions on some sailing destinations located on the North Sea, the Atlantic and the Caribbean. 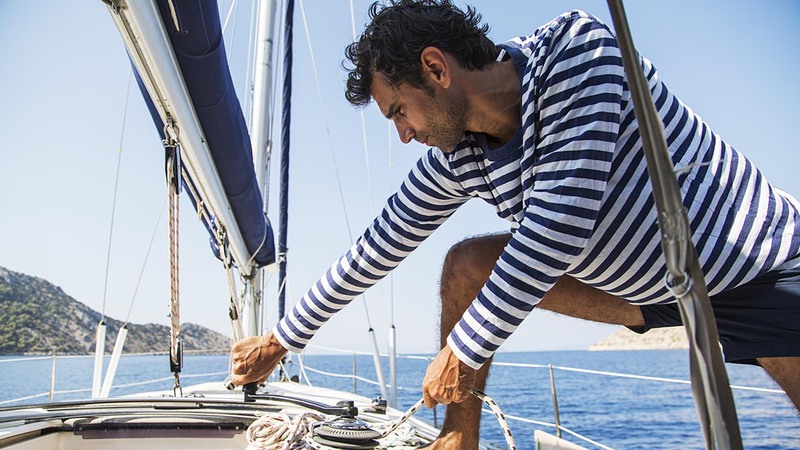 In any other occasion when you would like to have a professional behind the helm while you relax on a yacht, a skippered yacht charter is a superb solution. Learn more about how to treat a skipper. 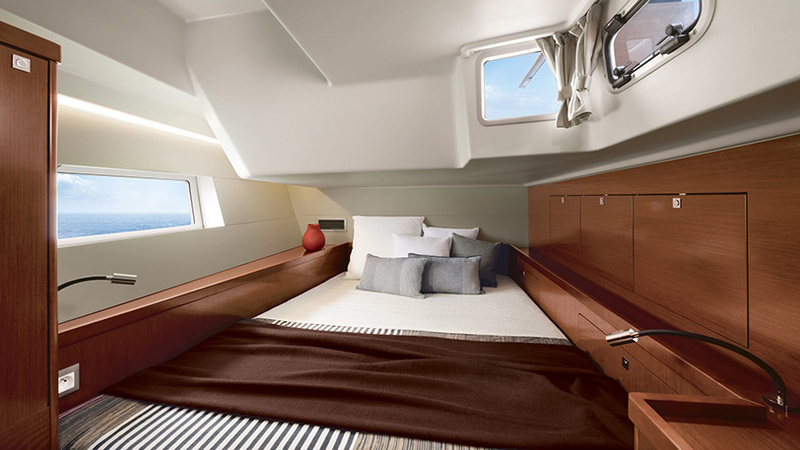 If you want maximum comfort and relaxation, opt for a crewed charter. 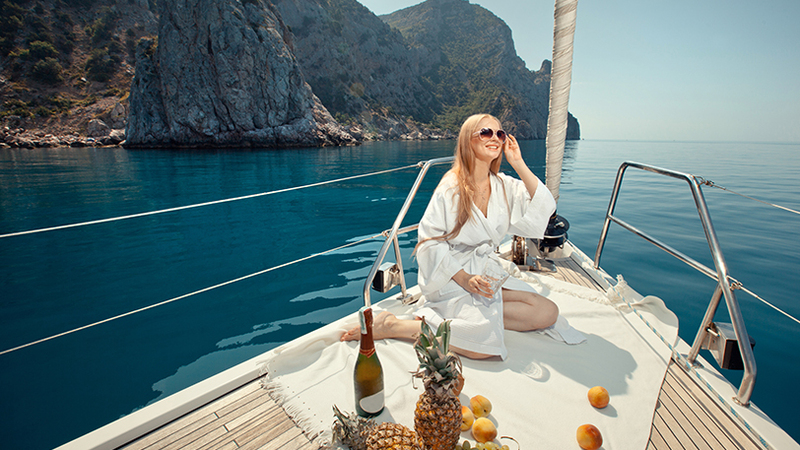 By choosing a crewed charter, you also get a crew who will navigate, sail and prepare beverages and meals. In most cases, you can expect this on yachts with the maximum length of 25 meters, where on larger boats the number of crew members could be significantly larger. You are free to decide on the itinerary, whereas the crew takes you wherever you want and provides you with three meals a day. Meals they prepare are of the highest quality, ready to meet your taste and reflect the local cuisine. Note that crewed charter yachts tend to be more luxurious and have additional equipment like water skis or A/C. The yacht charter crew will take care of your safety and your comfort, but you must not treat them like servants. 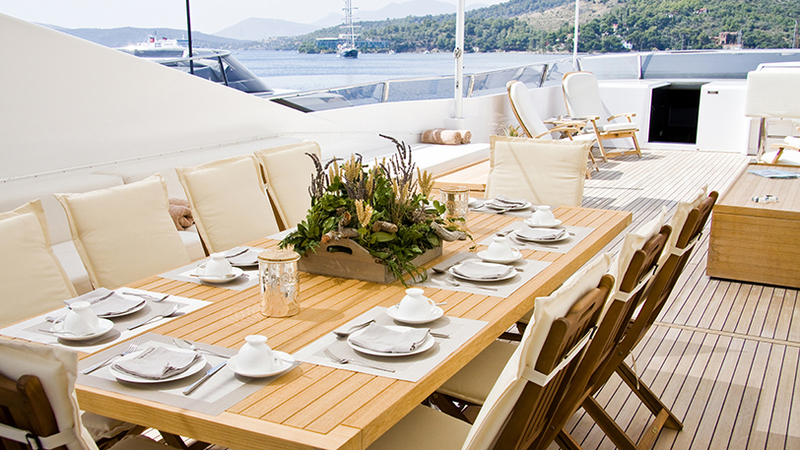 Learn more about how to treat a hostess and about onboard house rules. A cabin charter is a charter deal that allows you to charter only a cabin (usually on a gulet or a sailing yacht) and not the entire yacht. A cabin charter is an excellent option if you want to go sailing, but do not have a significant enough group to opt for a yacht charter. Another reason could also be the price. A cabin charter is usually a much cheaper option than a yacht charter. However, a cabin charter price depends upon a cabin charter program. Cabins can be chartered for individuals, couples or small groups. The most usual cabin charter is on gulets, but charter cabins are also popular in the Caribbean where catamarans are usually offered.